We do not currently have default import formats for all UK banks. 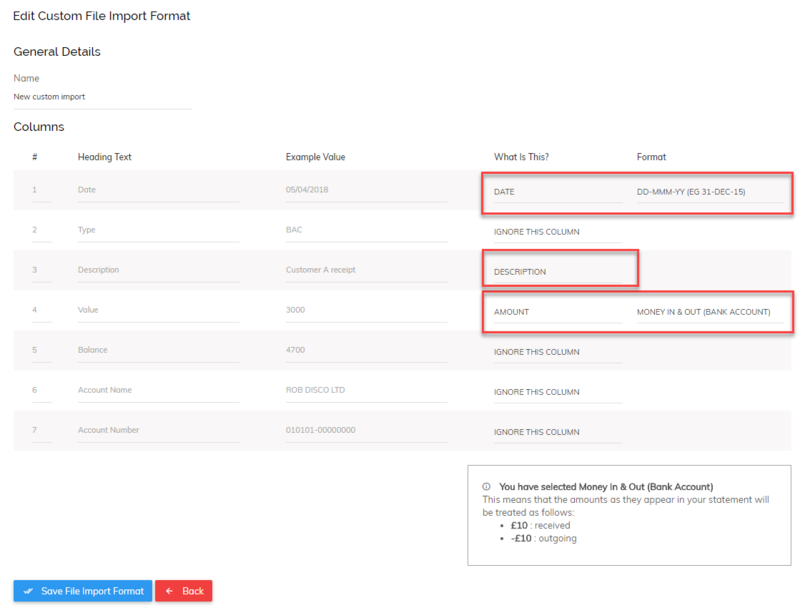 However, if you use a bank which does not currently have a default import format you can still use the file import method to input your transactions by creating a custom file import. To do this you need to go to Enter Transactions > Banking Tab > then click the ‘Enter Transactions’ button for bank account you wish to enter transactions for. .
Next, Pandle will need to know which heading is the date (and the format of the date), which heading is for the description and which heading(s) is for the amount (and the format). Please note, some banks keep the amount under one heading and some have a heading for money in and and a heading for money out. Finally, click 'Save File Import Format' and the new format will be displayed in the list of default formats when you next upload a file.